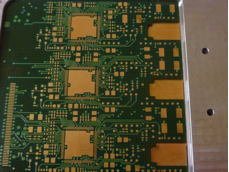 A production line is available for the most advanced PCB on organic substrates. 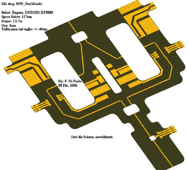 Special products have been developed in the field of mixed RF-Video digital multilayers including a “copper core” to improve the heat dissipation and Electromagnetic performances. 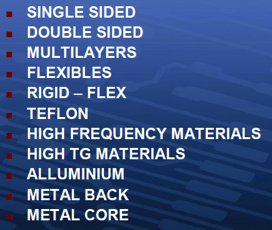 This kind of multilayers are foreseen to be directly integrated with their packaging with mil-std hermeticity level. All main organic substrates are available as well as High Frequencies materials from the most qualified suppliers .